On October 13, 2017, Viet Nam Directorate for Standards, Metrology and Quality held the ceremony to celebrate the World Standards Day. With the subject “Standards make cities smarter”, the ceremony had the aim to raise the awareness of the stakeholders on the importance of standards forproviding important guidance for all aspects of city life, including energy-efficient buildings, intelligent transportation, waste management, sustainable communities and much more. Speaking at the ceremony, Mr Tran Van Tung – Deputy Minister of Science and Technology said: Building smart cities is not easy. It includes many challenges and requires many mixed solutions. But thanks to the standard, the smart cities will develop effectively and comprehensively. 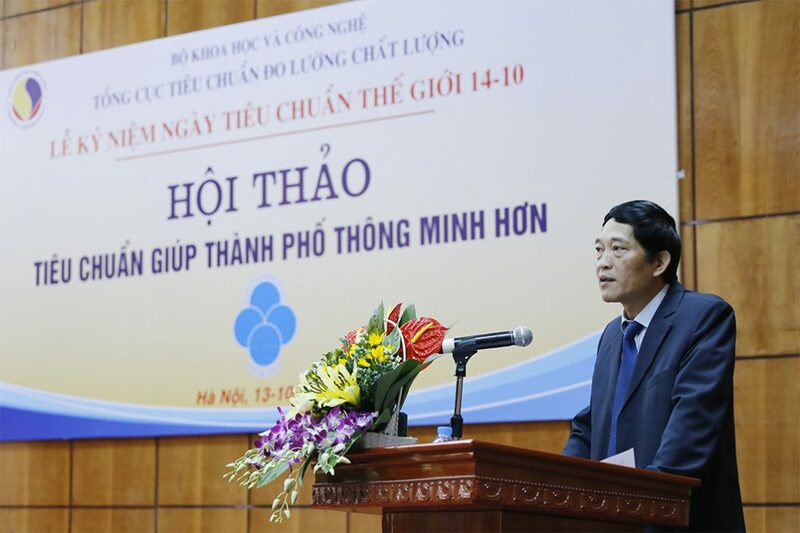 According to Mr. Tran Van Tung, Viet Nam is an official member of the International Organization for Standardization (ISO), of the International Telecommunication Union (ITU) and be a affiliated member of the International Electrotechnical Commission (IEC). So, Vietnam has the right and responsibility to participate in developing the international standards so that Vietnam’s products and goods can reach the world market. At the same time, it is necessary to step up the development and application of national standards as basis for production and business activities and to protect legitimate interests of enterprises as well as Vietnamese consumers. Mr. Nguyen Nam Hai – Deputy General Director of Directorate for Standards and Quality said: The international standards have important role to support the solution developments to match smart cities. The standard also help to choose the products and services easily. 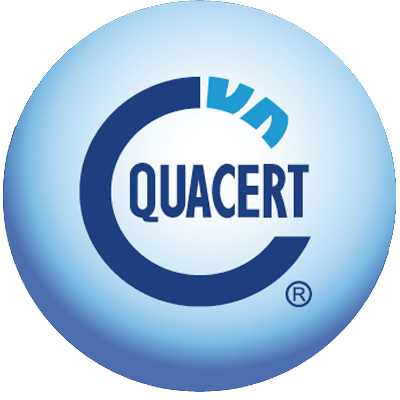 They help increase competitiveness and promote innovation. Under a systematic approach, standards allow the integration of structures or solutions from different vendors. 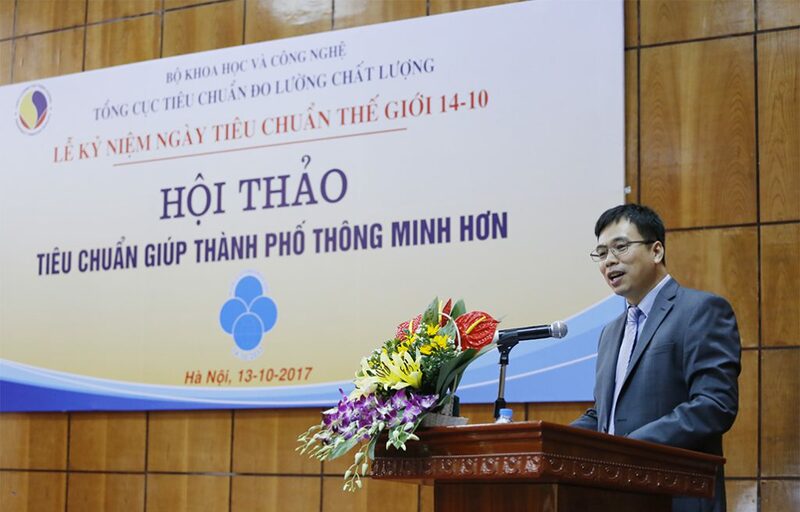 In his presentation on the Smart and Sustainable cities, Mr. Phung Manh Truong – Deputy Director of Vietnam Institute for Standards and Quality said that the International Organization for Standardization (ISO) has published hundreds of standards related to the operation of a smart city as ISO 37120, ISO/TR 37150, ISO 37101, ISO 37102, ISO/TR 37151, ISO 37152…etc. These standards focus on defining the criteria, shaping the sustainable development of smart cities. In addition, the STAMEQ has developed a set of smart city framework standards to develop efficient infrastructure, friendly environment and sustainablesocio-economic. At the ceromony, participants also have the opportunity to hear the presentations of Ministry of construction on approaching planning standards for the development of Vietnam’s smart city model, of the Hanoi university of science and Institute of science and technology of VINASA on Solar Power for urban development and a standard framework for Smart Cities. In particular, the presentation of Viettel Telecommunications Corporation on the application of international standards on smart cities in Vietnam. The presentation offers the solutions to “Strategy development of digital conversion, digital technology industry, intelligent agriculture, intelligent tourism and smart urban ” according to Directive No. 16 / CT-TTg on strengthening to approach the Fourth Industrial Revolution.